68 page full-color catalogue of the 2015 Master Metalsmith exhibition available on Amazon. Click HERE to visit page. Society of North American Goldsmiths. Click HERE to visit Linda's SNAG Maker's Page. Metalsmith Magazine, Volume 36 / No. 3 / 2016. Click HERE to view. 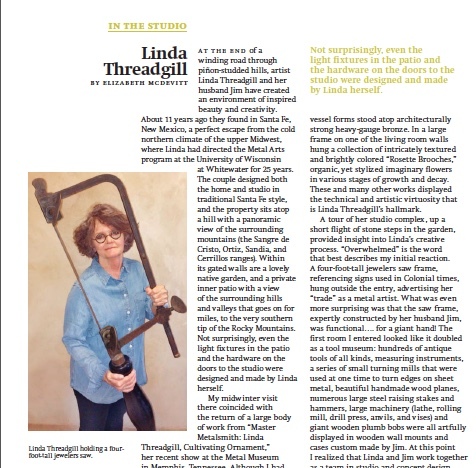 Review from the Memphis, TN Commercial Appeal, September, 2015 of the Metal Museum exhibition "Linda Threadgill: Cultivating Ornament: Master Metalsmith 2015". Click HERE to view.. The Memphis Commercial Appeal/GoMemphis/Visual Arts: The Year's 10 Best Exhibitions, December, 2105. 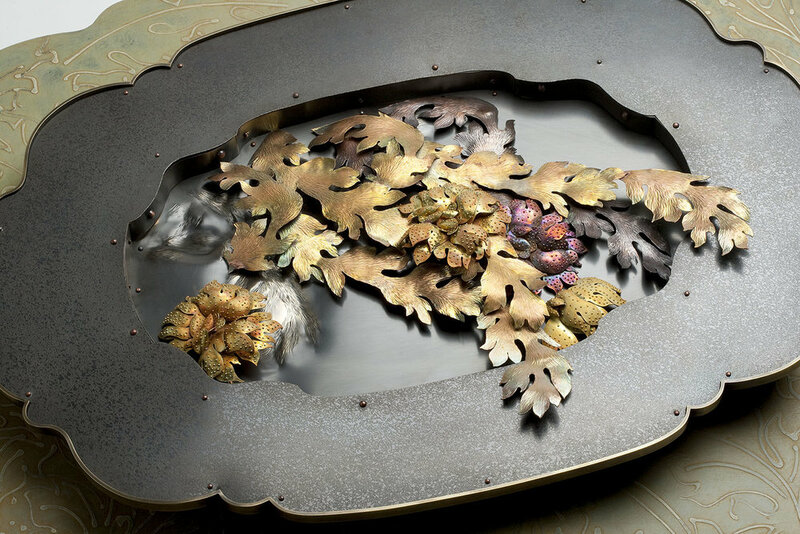 Revisiting the 2015 Master Metalsmith Exhibition at the Metal Museum, Memphis, TN. Click HERE to view. Visit Linda's page on Klimt02 by clicking HERE. Metalsmith Magazine, Volume 29 / No. 3 / 2009. Cover page and feature article. Click HERE to view.